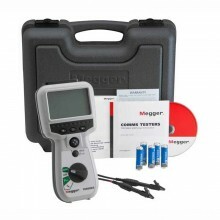 Includes: Alligator clip adapter, Megger TDR 900 User manual and Soft carrying case. 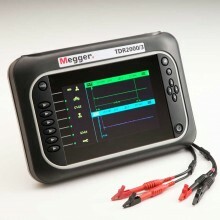 The Megger TDR900 is an advanced instrument capable of measuring cable lengths and finding distance to an open or a short using time domain reflectometry. 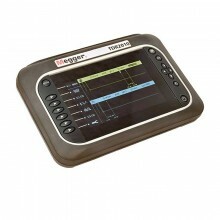 It offers exceptional features and a range capability normally associated with far more expensive instruments. 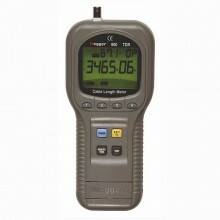 The measurement range spans from 5 m to 3 km with a minimum resolution of 50 cm. 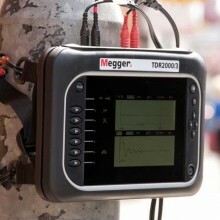 The Megger TDR900 can be used for any cable consisting of at least two insulated metallic elements, one of which may be the sheath or shield of the cable. 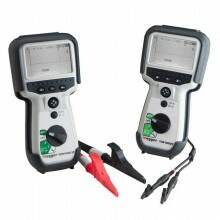 The Meter has automatic internal matching networks to allow testing of 25Ω, 50Ω, 75Ω, 100Ω, 125Ω, or 150Ω cables. (These correspond to power, telephony, CATV, and LAN cables). 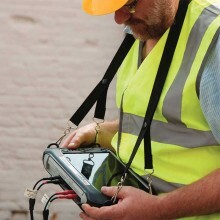 The TDR900 can be closely matched to the cable under test using the menu selection keys. 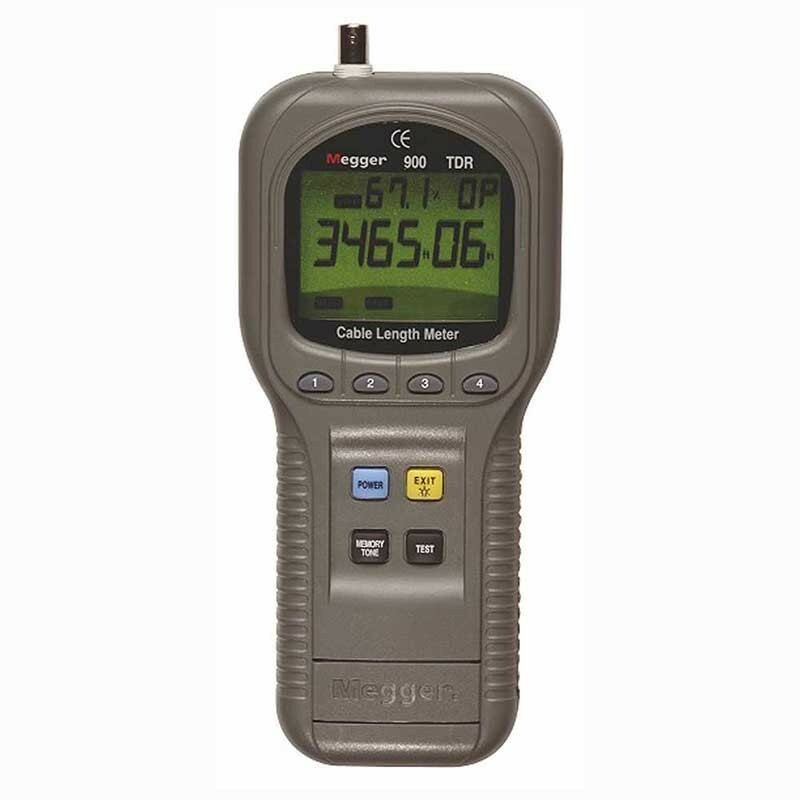 The propagation velocity value can be similarly adjusted to match the cable under test; thus ensuring an accurate distance measurement. 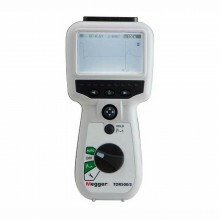 The other user adjustable setting is changing the distance measurement units (feet or meters). 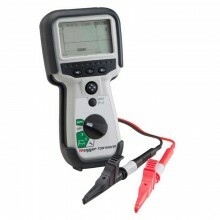 Automatic output impedance control, auto-range, auto-zero, and auto-sensitivity allows for closely matching toa wide range of cables under test. Only V.O.P (velocity of propagation) settings required. 20 internal memory locations store up to 20 customcable V.O.P settings. Internal library of 39 standard cables allow for quick andeasy measurements for industry standard cable types. 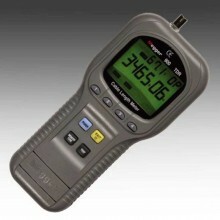 Tone Generator (oscillating 910 to 1100 Hz; 5 V peak to peak) for cable identification and tracing. Line Voltage Detection: Displays “OUCH” message and stops operation if line voltage exceeds 6.5 V.
Safety Protection (up to 250 V RMS). Cable Type CATV Cable, LAN Cable, Power Cable, Telephone Cable. Cable Library 39 standard cable types. Custom Cable 20 custom cable types. Maximum Pulse Width 1100 Hz. Minimum Pulse Width 910 Hz. Output Impedance 25 Ω, 50 Ω, 75 Ω, 100 Ω, 125 Ω, 150 Ω. 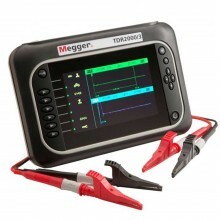 Display ICON type 7 segment LCD. Backlight stays on for 1 minute when activated. Power Supply 4 LR6 (AA) type batteries. Battery Life Approx. 5000 tests. Dimensions 235 (H) x 100 (W) x 44 (D) mm. 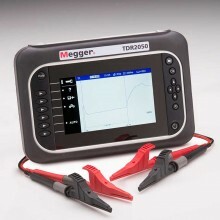 PDF Specifications of the Megger TDR900 Hand-held Time DomainReflectometer/Cable Length Meter.